Under “criticism” you should not understand something like “being critical to a given standpoint” but rather search causal chains and logical order. Critical thinking is the basis of contemporary society, as it does not admit the existence of absolute truths or absolute values. One always should prove their thesis in a rational manner, no matter who they are or what have they done before. No one is protected from criticism, and actually only by critical thinking can we achieve more certainty and gain more knowledge. In short, criticism is to be comprehended in its opposition to dogmatism, i.e. the attitude that there are eternal, everlasting and absolute truths. it takes into account various points of view. it is of heuristic essence (it can lead very often to new and surprising conclusions). it reflects the character of reality better, since the world consists of integrated elements (which only our intellect conceives as separate elements). Tell him/her about your ideas and working hypothesis. Listen to their advice. Be careful because topics which you are unfamiliar with will take you a lot of time (you should be more effective). Plan how long it will take you to collect information, to write the first draft and to revise it. For a short essay 3 weeks would be enough. Remember that the thesis cannot be changed during the writing process. Try to relate the thesis to the topic. For example, not “opinions” on the forums or newspaper articles written by ignorants. Present several points of view on the topic (at least two, at most five, but this depends on the length of the paper). When you refer to facts, always emphasize this. For example, arguments should be logically ordered and related to each other. Be careful, particularly with the page numbers. The critical synthesis essay does not intend to compare, to describe, or merely to present information. On the contrary, you have to integrate particular elements from each point of view, so that they form a unified conception. This would be an ideal case of critical synthesis. 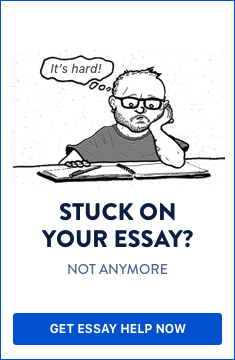 Thus, by following our instructions you will know more about how to write a critical synthesis essay. However, a process of writing cannot be taught only on paper, so you’d better start researching the topic and planning your draft as soon as possible. The critical synthesis essay does not intend to compare, to describe, or merely to present information. On the contrary, you have to integrate particular elements from each point of view, so that they form a unified conception.